The Perfect Derma Clear is a booster for acne featuring: Benzol Peroxide. This Perfect Peel acne peel booster is an excellent addition for patients with moderate to severe acne or acne scars on the face, chest, back or any area of the body. The Perfect Peel with Acne Booster is an incredible acne peel that blends Glutathione (a powerful whitening high grade anti-oxidant), Kojic acid, TCA, Retinoic acid, Salicylic acid, Phenol, and a blend of minerals and vitamins, including Vitamin C. Kojic acid is also a powerful lightening agent that has been proven to increase collagen and elastin production, resulting in skin that is brighter and tighter. TCA, Phenol and Retinoic acid reduce wrinkles and correct pigment problems, while Salicylic acid exfoliates the skin, reducing inflammation. Alone these ingredients are powerful, but in combination they produce results that are astonishing. Salicylic Acid is one of acne’s biggest enemies. 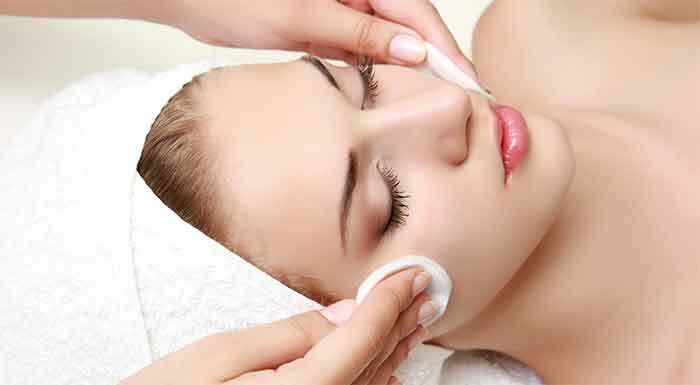 A Salicylic acne peel is a beta hydroxy (BHA) peel. A Salicylic acid chemical peel works to improve several skin conditions such as acne, blackheads, clogged pores and congested oily skin. Salicylic acid is derived from willow bark and contains the same anti-inflammatory ingredients as aspirin. To intensify the antibacterial aspects of this peel we also add, a facial mask of Ultra Gel (Ionic Silver). Ionic Silver is recognized for killing all or most bacterial and fungal pathogens while leaving healthy tissue cell. For Acne Scarring, Removal of Pregnancy Mask, our Deep Milk Enzyme Treatment (Monkey Peel) is used on all skin types for a deep and visible skin peeling. Deep peeling of more layers of skin is consequently effective for severe skin problems such as wrinkles, acne scars, deeper stretch marks, and pigmentation. This Deep 18 to 20 coat chemical peel can be applied on the entire face or selected problematic place. This is not indicated for thin and delicate skins. When the peeling process is complete the skin will look and feel fresher, firmer and more even in color and texture. Any scars or lines will be reduced in appearance making them less noticeable. The Chemical Peel known as the Deep Milk Enzyme Peel can be given once to twice a year, preferably in the spring and fall. For tough skin problems such as depressed pits, deep wrinkles and acne scars, it may be applied every 4 to 6 weeks.